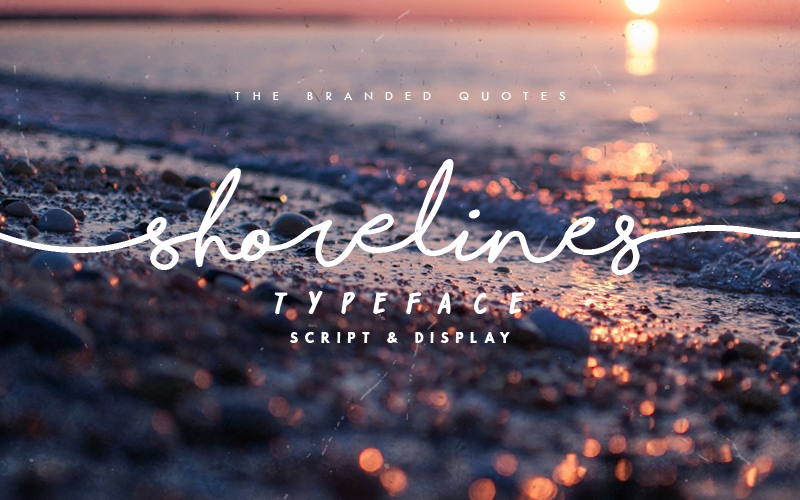 Not your average Cursive font, Shorelines can behave like a girl's handwriting then shreds like a boss over the sea waves! Whether you're a photographer who wants that signature text on your images, or a blogger, maybe a Pro-Surfer? Shorelines Script will cater all your cursive dreams. The imbalanced heights and spacing will give your work a natural and handwritten look.